When organising a wedding or event, there are 3 basic points to bear in mind for it to succeed: location, catering and service. Before anything else, the first thing is to choose the location. It has to be a charming and beautiful place. The location alone has to make the guests feel like they are in a special and unique place. 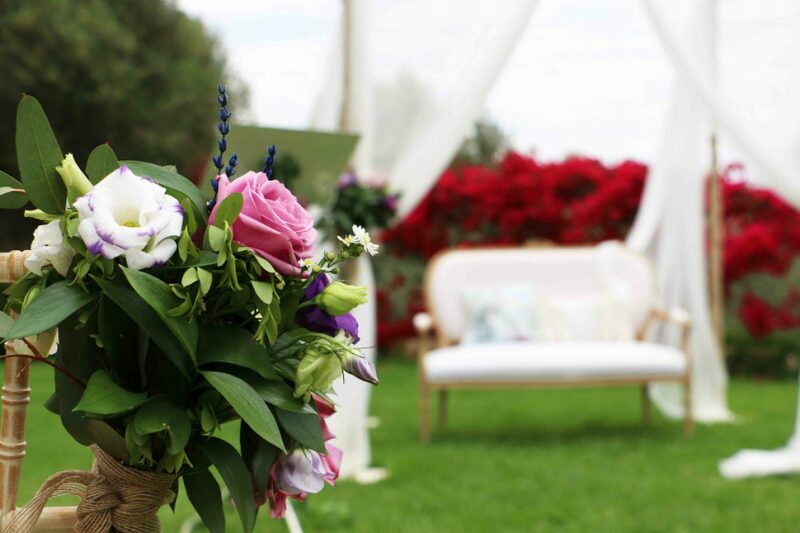 It has to become a cornerstone in the wedding or event; an unparalleled setting. At Fosh Catering we have exclusive rights to Son Mir, but we also work with the other traditional estates on our island like Son Mesquida Nou, Sa Franquesa Nova, Son Togores and Tagamanent. It is fundamental that you have the most appropriate catering. At Fosh Catering, we offer a cutting-edge and ground-breaking menu, based on traditional Mediterranean cuisine. Local seasonal products of the highest quality. Market cuisine fused with a chic and deluxe touch. The result is undeniably irresistble. And last but not least, so that our wedding or event is remembered as something wonderful, we have to think about the quality of the service. At Fosh Catering, we have the most qualified professionals. Due to all of the above, each service is a new opportunity to keep improving and to give our best. Always served with a smile, our staff treat you kindly and are ready to make sure your wedding or event is unbeatable. Are you still not sure? We encourage you to get in touch with us. Tell us about your idea and we will make it happen and give you an unforgettable customised wedding or event. We are waiting for your call!